Vacation Rentals Pinellas County Florida - Find Local Listings. Thank you for your interest in Vacation Rentals Pinellas County Florida. If you prefer shopping or walks on the beach, you don’t have far to go from Pinellas County vacation rentals. If you don’t mind driving for a few minutes, there are many attractions in the area. The Salvador Dali museum in St. Petersburg is devoted entirely to the work of this famous painter, housing the largest collection of his work in the world. For the children, the Largo Central Railroad is a 1/16-scale model railroad in Largo Central Park. (You have to be at least one year old to ride the trains.) For visitors interested in nature, the Brooker Creek Preserve offers an outstanding program of guided walks and other experiences. The whole family will enjoy Florida Botanical Gardens in Largo. If you are staying in Pinellas County condos or Belleair Beach vacation rentals, you will be right in the middle of numerous beaches and waterfronts. For divers, Pinellas County has established and maintains 13 artificial reefs, all within several miles of Pinellas County. If you are into canoeing or kayaking, Pinellas County publishes maps of routes throughout the area that are sure to please. For the adventurous sort, parasailing and jet skiing are readily available. Renting a condo or house is a very different experience from staying in a hotel. 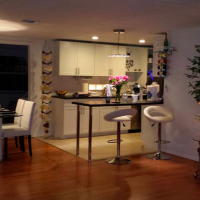 Besides all the local attractions, just spending a few hours of unscheduled time in one of the many Pinellas County vacation rentals can be a delightful, relaxing experience. These units typically have fully equipped kitchens, so you can have the same meals you enjoy at home. Not having to rely on restaurants or room service for every meal is a valuable perk on a vacation. Pinellas County vacation rentals are conveniently situated for easy beach access, and the views can be amazing. 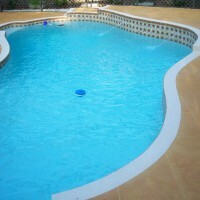 Our website provides FREE Listings and FREE information on vacation rentals available in Pinellas County Florida. Covering all Pinellas County locations including Belleair, Belleair Beach, Belleair Bluffs, Belleair Shore, Clearwater, Clearwater Beach, Dunedin, Gulfport, Indian Rocks Beach, Indian Shores, Kenneth City, Largo, Lealman, Madeira Beach,North Redington Beach, Oldsmar, Palm Harbor, Pinellas Park, Redington Shores, Redington Beach, Safety Harbor, Seminole, South Pasadena, St. Pete Beach, St. Petersburg, Tarpon Springs, Tierra Verde and Treasure Island, Florida. Thank you for your interest in Vacation Rentals Pinellas County FL. 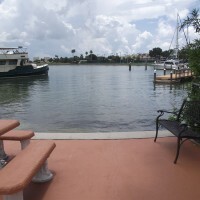 Vacation Rentals Pinellas County Copyright © 2019.